Suzuki Motorcycles is pleased to announce the addition of a special edition heritage colour scheme for the 2014 GSX-R750. Unlike Any Ride On The Road - 2014 GSX-R750 Is Here! The 2014 Suzuki GSX-R750 thoroughbred sportsbike has arrived in Australia, guaranteed to turn heads in two striking new colour schemes. The 2013 Suzuki GSX-R750 thoroughbred sportsbike has arrived in Australia, guaranteed to turn heads with exciting new colour schemes. Unlike Any Ride On The Road -2012 GSX-R750 Is Here! The 2012 Suzuki GSX-R750 thoroughbred sportsbike has arrived in Australia, guaranteed to turn heads with its striking new colour scheme. Prodigy frontman and Suzuki fan, musician Keith Flint, put his new 2011 Suzuki GSX-R750 through its paces last month in the United Kingdom, as he joined fellow Suzuki customers for the first UK GSX-R track day of the year. Unlike Any Ride On The Road 2011 GSX-R750 Is Here! Ready to build on the famed GSX-R legend, Suzuki's hotly-anticipated all-new 2011 GSX-R750 thoroughbred sportsbike has arrived on Australian shores. 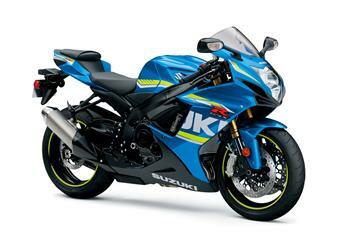 Suzuki's GSX-R legend continues, with the 2009 GSX-R750 available in Australia with three brand new colour schemes. The hotly-anticipated, all-new 2008 Suzuki GSX-R750 thoroughbred sportsbike has landed in Australia, ready to build on the famed GSX-R legend. Suzuki Australia will take the wraps off its eagerly-anticipated 2008 GSX-R750 for the first time at the Brisbane International Motor Show, February 1-10, offering an exclusive preview of the all-new thoroughbred sportsbike. Suzuki Australia is showing riders the way with a free satellite navigation system as part of a massive bonus campaign. New GSX-R750 Arrives In Australia! The world's original race-replica sportsbike is celebrating its 21st birthday with the latest incarnation of the legendary Suzuki GSX-R750 performance sportsbike now available in Australia.